I don't want this to sound like a commercial, but I would like to say something about Alaskan surimi (I get the impression some people aren't familiar with it). Surimi is made from boneless, skinless Alaskan Pollock fillets that are cooked and flavored with crab meat, then pressed into various shapes. Surimi can be used in place of crab or shrimp in almost any recipe. It comes in 12 ounce and 16 ounce vacuum packed pouches. Just make sure it says "made from Alaska Pollock" because I can not vouch for any other kind. I use surimi because it is not only economical, but it comes pre-cooked and is great for a super-fast meal (hot or cold). 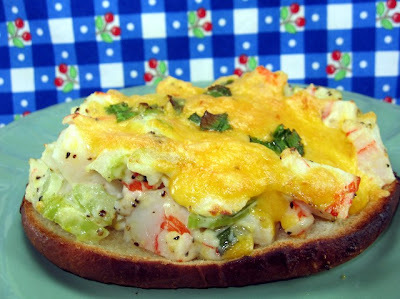 This open face surimi melt sandwich is quick, filling and easy. Rough chop the surimi and mix it with the chives, mayo, Dijon, lemon pepper, crumbled bacon and 1 cup of shredded cheddar or pepper-jack cheese until well blended. Lightly toast the split English muffins and then top with the surimi mixture (divided equally). Top mixture with the rest of the shredded cheddar (or pepper-jack) and broil these open face sandwiches until the cheese is melted and the sandwich is hot. NOTE: Makes six sandwiches, 300 calories each. As usual Coleen it looks delish...wish this were my lunch today! I am going to look and see if we get that here. you make it look and sound so delicious, I want to try this. I have never heard of surimi, I will definitely keep an eye out in the grocery store - thanks! My husband is very allergic to all seafood, so I never get to cook it. 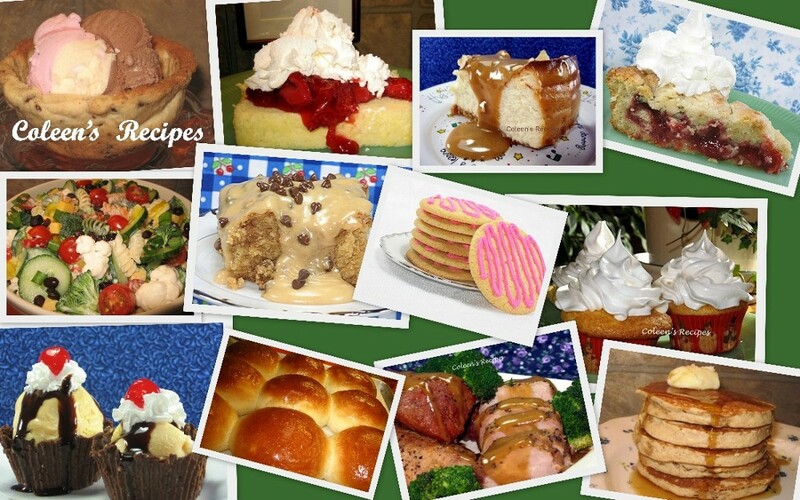 Seeing recipes like yours though makes me think I need to sneak more in when he's out of town. Looks Wonderful and Just the thing for supper!! I agree with Katherine, you make it look and sound yummy! I think I have eaten it in Sushi! TO CHERYL: I don't know about anywhere else, but surimi is used ALL the time in sushi here in our deli's. I love this stuff (we call it fake crab meat in my family!). What a great idea to make a melt with it! I was just craving a good tuna melt but this looks just as tempting. I have never acquire a taste for surimi (we can buy it frozen at the fish counter). But yours looks so good, I would am tempted to sample a bite! Wow, I've never heard of Surimi! Looks great!! !